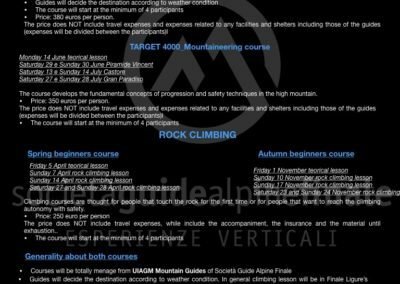 During the course our guides will teach you the fundamental technique of steep climb up and down, avalanche rescue, orienteering… The last weekend will be a test for you to practice all technique that you learned during the course. The target of this course is the skialp in high altitude to reach big 4000 of Alps, starting from Alpi Liguri and Marittime. Price: 380 euros per person. 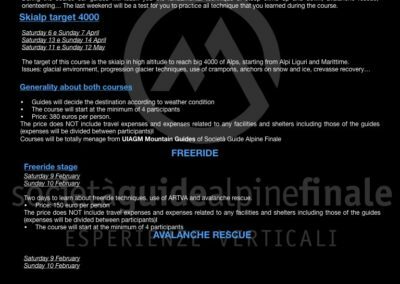 Two days to learn about freeride techniques, use of ARTVA and avalanche rescue. 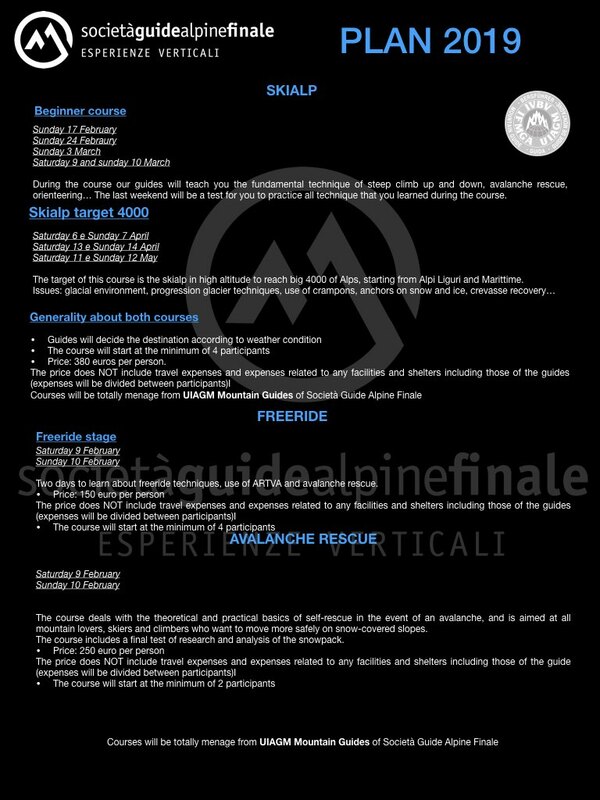 The course deals with the theoretical and practical basics of self-rescue in the event of an avalanche, and is aimed at all mountain lovers, skiers and climbers who want to move more safely on snow-covered slopes. The course includes a final test of research and analysis of the snowpack. 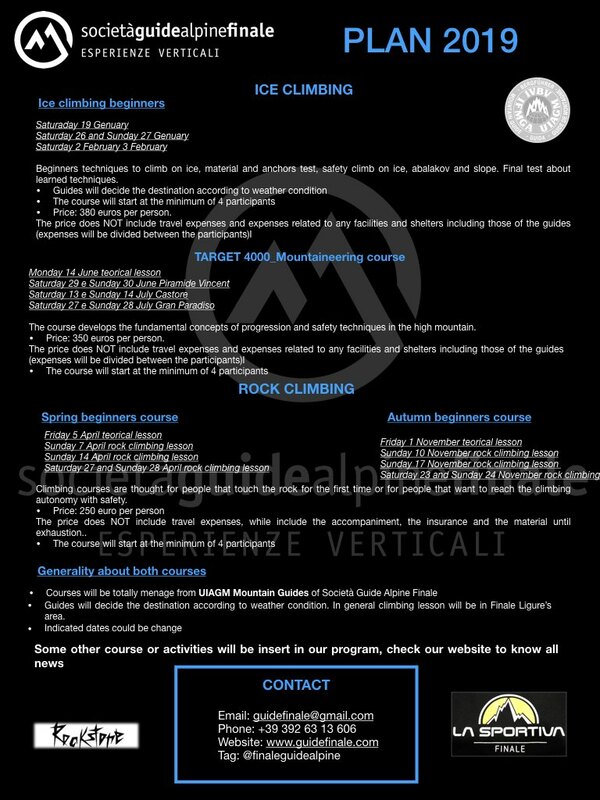 The course develops the fundamental concepts of progression and safety techniques in the high mountain. Price: 350 euros per person. Climbing courses are thought for people that touch the rock for the first time or for people that want to reach the climbing autonomy with safety. The price does NOT include travel expenses, while include the accompaniment, the insurance and the material until exhaustion.. Guides will decide the destination according to weather condition. 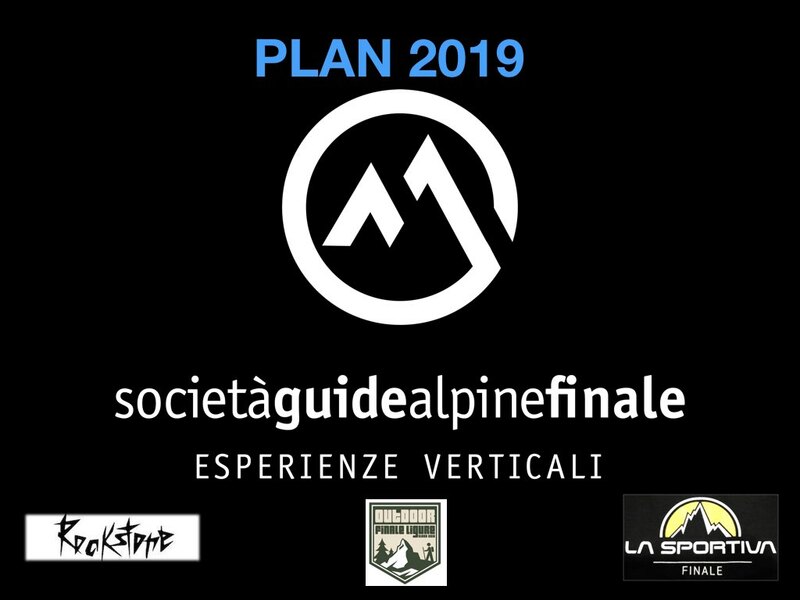 In general climbing lesson will be in Finale Ligure’s area.